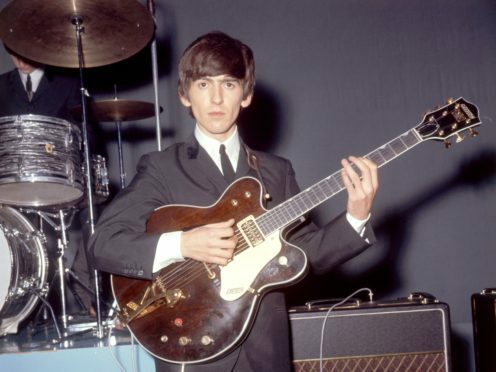 George Harrison’s number one single My Sweet Lord has topped a chart of the most played songs this century that were released on The Beatles’ Apple Records label. Harrison’s only solo number one single has received more public airplay since 2000 than Imagine by John Lennon and the Liverpool band’s Hey Jude, which was the first single released on the label in the UK 50 years ago. Over half of the list of 20 songs, which was compiled by Music licensing company PPL, are Beatles tracks but Paul McCartney and Wings had three entries in the top 10. The chart includes six number one singles, three Beatles album tracks (Here Comes The Sun, Back In The USSR and While My Guitar Gently Weeps) and a b-side (Revolution). The band that McCartney formed with his first wife Linda are at number five with Band On The Run, nine with Live And Let Die and 10 with Jet. The two only non-Beatles artists that feature in the top 20 are Mary Hopkin with her 1968 number one Those Were The Days and Welsh rock band Badfinger with No Matter What. PPL’s chief executive officer Peter Leathem said: “Apple Records has released some of the most popular recordings of the past 50 years across such an eclectic range of music. “The fact that Beatles tracks make up over half of the top 20, one of which, Revolution was a B-side and three of which are originally album tracks, is testament to the sheer quantity of The Beatles’ repertoire and also their ongoing popularity. My Sweet Lord went to number one upon its original release in 1970 and again in 2002 when it was re-issued following Harrison’s death. The group’s lead guitarist was the first of his bandmates to top the UK singles chart following their split in 1970. Songs released by Apple Records have generated a total of 140 million seconds of UK radio and TV airplay this century, the equivalent of nearly four and a half years.